The parallel session C5 on Space-Based Detectors gave a broad overview over the planned space missions related to gravitational wave detection. Overviews of the revolutionary science to be expected from LISA was given by Alberto Sesana and Sasha Buchman. The launch of LISA Pathfinder (LPF) is planned for 2015. This mission and its payload “LISA Technology Package” will demonstrate key technologies for LISA. In this context, reference masses in free fall for LISA, and gravitational physics in general, was described by William Weber, laser interferometry at the pico-metre level and the optical bench of LPF was presented by Christian Killow and the performance of the LPF optical metrology system by Paul McNamara. While LPF will not yet be sensitive to gravitational waves, it may nevertheless be used to explore fundamental physics questions, which was discussed by Michele Armano. Some parts of the LISA technology that are not going to be demonstrated by LPF, but under intensive development at the moment, were presented by Oliver Jennrich and Oliver Gerberding. Looking into the future, Japan is studying the design of a mid-frequency detector called DECIGO, which was discussed by Tomotada Akutsu. Using atom interferometry for gravitational wave detection has also been recently proposed, and it was critically reviewed by Peter Bender. In the nearer future, the launch of GRACE Follow-On (for Earth gravity observation) is scheduled for 2017, and it will include a Laser Ranging Interferometer as technology demonstrator. This will be the first inter-spacecraft laser interferometer and has many aspects in common with the LISA long arm, as discussed by Andrew Sutton. 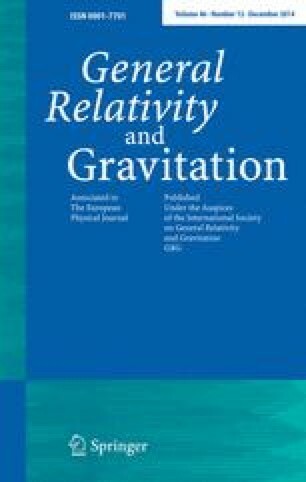 This article belongs to the Topical Collection: The First Century of General Relativity: GR20/Amaldi10. Guest Editors: Jerzy Lewandowski, Bala Iyer, Sheila Rowan. This research was supported by the Japan Aerospace Exploration Agency (JAXA), by the Japan Society for the Promotion of Science (JSPS), Grant-in-aid for scientific research, by the Global COE Program of the graduated school of science in Kyoto University, and by the Research Center for the Early Universe (RESCEU) at the University of Tokyo.